Don Broco are back with a bang. The band’s latest album Technology is a hotpot of everything fans have come to expect from the British rockers: metal, rock, pop, punk, funk, and hip-hop influences are all there in a loud, riotous explosion of catchy hooks. It’s also their most inventive and downright fun record to date. 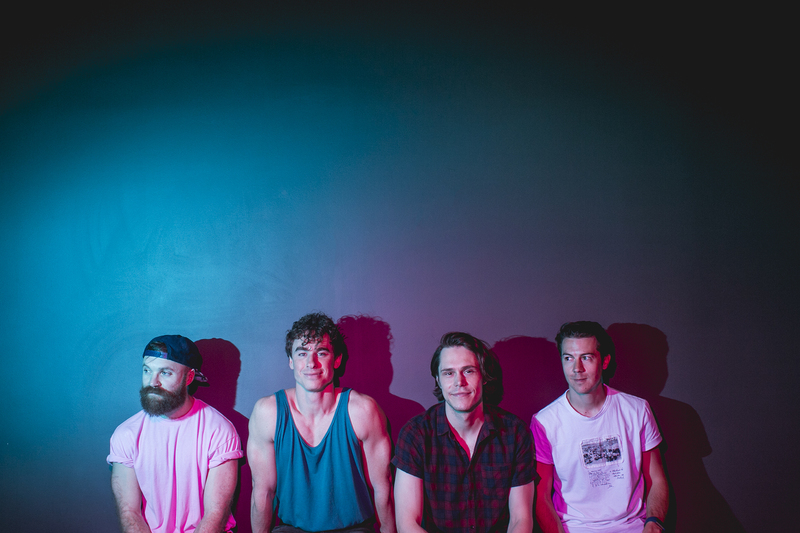 We spoke to frontman Rob Damiani as the band prepare for Technology’s release and a whirlwind UK tour. How are you feeling about the release of Technology? Very excited! We’re just wanting to get it out now. We’re getting all the mechanics ready to tour it and trying to learn the new songs to play for the first time on tour. How different did you find making Technology compared to the first two albums? Really different. The first album was done quickly and on a super low budget – there was no real plan at all. At that time, we weren’t signed or anything like that. It was just let’s write an album and see how it goes. That was a complete contrast to the second album which was the first one on a major label and there was more money involved. It was the first time we’d ever been to a proper studio and the first time we’d ever had to really think about what we wanted to do with an album. This time round we didn’t really give ourselves time to think about it. It was almost like going back to the first album in the sense of getting it out as quickly as we could but with the know-how of what to do in a studio environment. I think with the experience of having two albums under our belt, we knew what we could achieve and how we could push ourselves and have fun with it. It meant the studio was a very creative place rather than just recording what we’d already written. Did you prefer the creative process of going in and bouncing ideas around? Yeah, we definitely did. There’s a lot to be said about your mental health when there are moments like “we’re paying for this studio time so we’ve gotta come out with something… So what the hell do we record? !” If it didn’t come quickly you’re just sitting in this room and it doesn’t always work out. But when it does work out it’s extra fun especially if you’re going in with nothing and coming out with a brand-new song. You can hear a mixture of genres and influences even just on one song like Come Out to LA. How would you describe your sound? I’d say with us it’s definitely a song-by-song case. We never want to write the same song twice which can make it quite hard to describe our sound! We’re influenced by all the bands we loved growing up and all the modern music we listen to today – hip-hop, dance, electronical. It’s just churning that all about and coming up with something heavy but also catchy and meaningful and honest all at the same time. And when you mash all that stuff together, then take it all away and still have a good song at the end of it – something that you’re going to remember and sing along to – that’s kinda what we feel Don Broco is. The band really kicked off after the release of your second album. What’s your experience been of fame and the music industry? On your song Come Out to LA it sounds like you haven’t been quite taken with it. The music industry can be a very exciting place to live and work in but it can also be a tough and emotionally draining place. It’s exciting at the moment because no one quite has a clue about what’s going on with regards to people streaming music and record sales going down. There’s not the money there used to be so it’s getting harder for musicians to get that start in their career and then maintain it. The sad fact of the modern world is that you need money to eat and live and that’s something that all musicians deal with, unless you’re in the small top 5 or 10% of artists who are absolutely smashing it. It’s a tough place and a constant struggle. You’re living very much hand-to-mouth and that’s the real honest side of it. And with that obviously there’s extra stress that is put on your creativity and it can take its toll. Come Out to LA was a look at our experience as a band. You hear stories of LA and as a new band – even though we weren’t completely wide eyed and were relatively cynical – we still got very caught up with the glamour of being signed to a major label and being taken out for lovely meals and going to parties. That’s the fun side of the music industry that should be enjoyed because I think that’s one of the highlights with getting into a job like this is you get to lead that lifestyle to a degree. But the reality of making a career out of it and being potentially fed false promises, it can sometimes take its toll. Anyone getting into the music industry, just know you’re in for a tough ride. If you can navigate your way through then you should be just prepared for facing a few ups and downs. Finally, are you looking forward to touring the new album and what can someone expect from a Don Broco show if they’ve never been to one before? Yeah, very much looking forward to it! We haven’t done a full UK tour in a long time so we’re really excited about that. We’re finishing this tour in Glasgow which is always the best end because you get to end on a high and have a wicked night out afterwards. In regards to the show, it’s going to be so fun to bring the full show back and play a load of new songs from the album for the first time. If people haven’t seen us, we like to get the crowd going. For us, that’s our favourite thing with playing live: you can really react off the crowd. If the crowd are giving it some, we give it harder and everyone has a better time so it’s definitely a lively night out! Technology is out on 2 February. 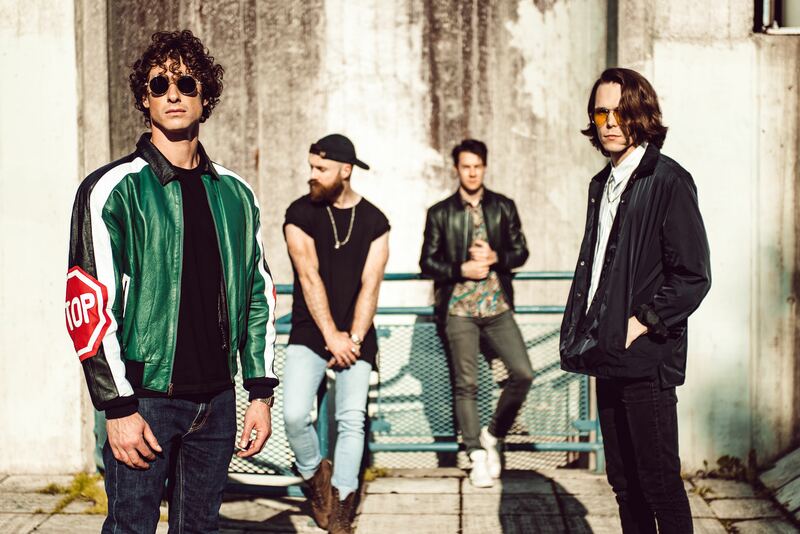 Don Broco are playing Garage, Aberdeen on 20 February and The Barrowlands, Glasgow on 21 February. Find out more information and buy tickets on their website.